Equipement culturel et développement urbain : le centre d'art contemporain WIELS, héraut des logiques de transformation d'un quartier populaire ? Culturele voorzieningen en stadsontwikkeling: het centrum voor hedendaagse kunst WIELS als voorbode van de veranderingslogica’s van een volkswijk? The opening in 2007 of the first contemporary art centre in Brussels in the lower part of the municipality of Forest, which is characterised by an industrial urban fabric and socioeconomic insecurity, seems to have marked a new era for this neighbourhood. WIELS defines itself as “an international laboratory for the creation and diffusion of contemporary art”. Using a typology based on international literature, the objective of the study is to confront the rationale behind the creation of this cultural institution with the social and spatial transformations which have taken place in the neighbourhood since its establishment. In this article, we attempt to understand how WIELS contributes to urban development through culture. By combining different qualitative methods, it is clear that although WIELS was initially caught in a conflict between property income and openness towards its neighbourhood, certain tangible and discursive elements might prompt us to consider WIELS as one of the components in the formation of a new creative metropolitan centrality. L'ouverture en 2007 du premier centre d'art contemporain bruxellois dans une portion du bas de la commune de Forest caractérisée par un tissu urbain industriel et une précarité socio-économique semble avoir marqué une ère nouvelle pour ce quartier. Le WIELS se définit comme « un laboratoire international pour la création et la diffusion de l'art contemporain ». À l'aide d'une typologie basée sur la littérature internationale, l'objectif de l'étude est de confronter les logiques sous-jacentes à l'implantation de l'institution culturelle aux transformations socio-spatiales qui se produisent dans le quartier depuis son implantation. Dans cet article, nous cherchons ainsi à comprendre à quel(s) type(s) de développement urbain par la culture le WIELS contribue. En croisant différentes méthodes qualitatives, il en est ressorti que si le WIELS était à l'origine pris au sein d'une tension entre des logiques de rente immobilière et d'ouverture sur son quartier, aujourd'hui, certains éléments tangibles et discursifs inciteraient à voir le WIELS comme une des composantes à la formation d'une nouvelle centralité métropolitaine créative. 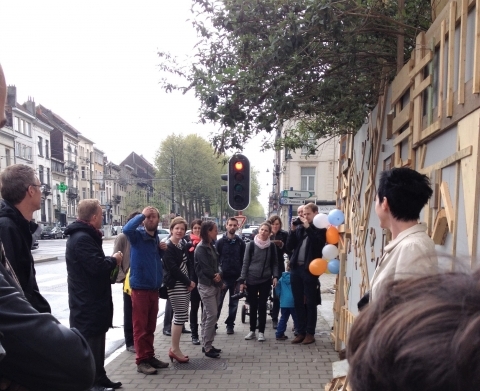 De opening van het eerste Brusselse centrum voor hedendaagse kunst in 2007 in het lager gelegen deel van de gemeente Vorst, dat zich kenmerkt door een industrieel stadsweefsel en sociaal-economische onzekerheid, lijkt voor deze wijk het begin van een nieuw tijdperk ingeluid te hebben. WIELS omschrijft zichzelf als “een internationaal laboratorium voor de creatie en de verspreiding van hedendaagse kunst”. Aan de hand van een typologie op basis van de internationale literatuur heeft deze studie als doel de logica’s achter de vestiging van deze culturele instelling te toetsen aan de sociaal-ruimtelijke veranderingen die zich voordoen in de wijk sinds het centrum zich er kwam vestigen. In dit artikel trachten we dus te begrijpen aan welke soort(en) van stadsontwikkeling door middel van cultuur WIELS bijdraagt. Hoewel WIELS zich aanvankelijk midden in een spanning tussen vastgoedrente en openstelling tot de wijk bevond, is uit de gekruiste toepassing van verschillende kwalitatieve methodes gebleken dat we het centrum onder invloed van enkele tastbare, discursieve elementen vandaag de dag zouden kunnen beschouwen als een van de componenten voor de vorming van een nieuwe creatieve grootstedelijke centraliteit. 3.4. Has the relationship between WIELS and its neighbourhood followed a specific course? Research conducted as part of a master's thesis in geography at Université libre de Bruxelles and pursued as part of a doctorate at Metrolab.brussels. 1The opening in 2007 of the first contemporary art centre in Brussels in the lower part of the municipality of Forest, which is characterised by an industrial urban fabric and socioeconomic insecurity, seems to have marked a new era for this neighbourhood, as reflected in the international press (Figures 1 and 2). WIELS is located in a building in a former brewing site and can be seen from a distance: its impressive and recently renovated art deco architecture, the flag on top of the building and the imposing titles of exhibits on the windows attract attention from the surrounding streets. In addition to these striking visual elements, there are activities for creation (artists” residencies), diffusion (temporary exhibits) and mediation (educational and/or social and artistic activities) organised by the art centre. Figure 1. 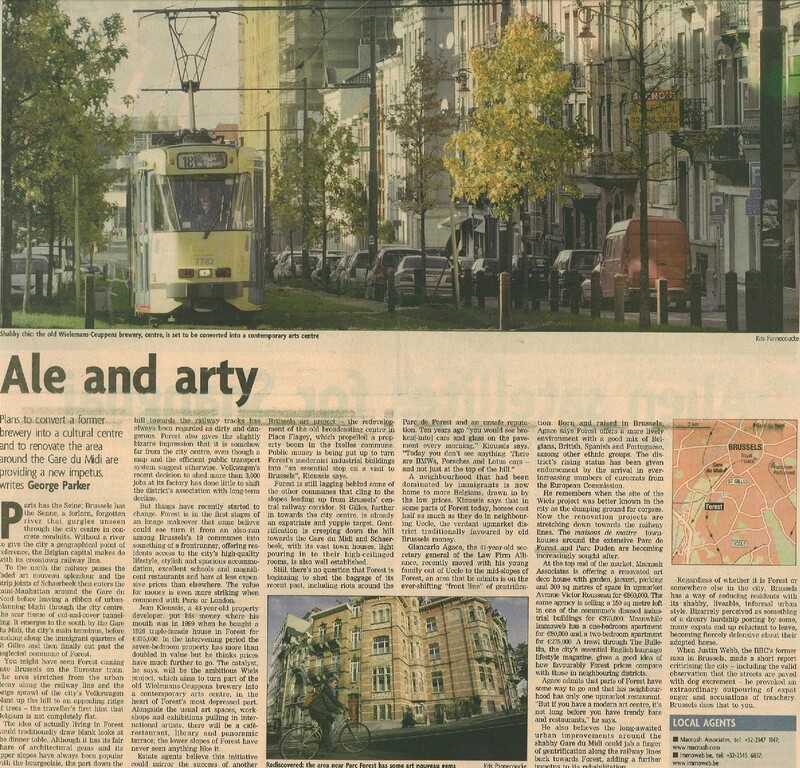 This article – or rather, this property promotion (contacts for both estate agencies at the end of the article) – from the Financial Times published a few days before the WIELS opening, presents the municipality of Forest as a future municipality of Brussels with a high “quality of life”. According to the journalist, this change is mainly due to the reconversion of the Wielemans-Ceuppens site into a cultural centre, with the arrival of WIELS catalysing an increase in property value in the lower part of the municipality. 2Beginning in the 1980s, following deindustrialisation and the advent of interurban competition, the rhetoric which links culture to the “renewal” of urban spaces has been put forward in urban policies, by local development bodies and agencies, the media and even by certain private investors and developers. For example, in the case of Brussels, the property group Atenor – which has been very active in the canal area for several years – recently made an analogy with the military sector, putting forward the need for cities to join the “cultural arms race”.1 Like many authors who have analysed this “cultural turning point in urban regeneration” [Miles, 2005], E. Vivant states that “the use of culture in urban policies has been a significant trend in the city”s production methods for the past thirty [forty] years in a context of post-industrial transition.” [Vivant, 2007: 171]. 3While culture is often presented today as an instrument of territorial development [OECD, 2005; PRDD, 2013: 40; EESC, 2016, in particular] which reconciles economic growth (with its attractiveness potential) and social cohesion (with its participation and recognition potential), cultural facilities have become a preferred agent in the dynamics of the “redevelopment” of former industrial territories. They even have a positive social, economic and urban impact. According to B. Lusso, “while it is clear that museums may be cornerstones in the physical transformation of the city and the improvement of its brand image, the economic and social impact is nevertheless much more mixed” [2009: 1]. And without strong and proactive political action to accompany these cultural investments at different levels, adverse effects may result [Lusso, 2009; Colomb, 2011]. Thus, cultural facilities have become an interesting key to understanding the territorialisation of culture in the policies for the “revitalisation” of former industrial neighbourhoods. The term “cultural facilities” is intended to mean any place where “artistic events are held and where “culture” is produced, transmitted or consumed” [Bianchini, Ghilardi, 1997: 49]. Following the neo-liberal turning point in public action [Jobert, Théret, 1994], the role of cultural facilities resulting from spatial keynesianism [Reigner, 2011] has been restructured with respect to the creation of urban spaces: from the principle of the social and spatial redistribution of culture (equal access to culture) to that of local development (the development of each person's cultural/creative expression), often guided by the ascendancy of economic interests [Hélie, 2009]. 4In order to understand the development of the WIELS contemporary art centre through the prism of the contemporary transformation of urban spaces, it is necessary to place this case in its urban context. The WIELS project emerged at the beginning of the 2000s – a pivotal period in urban and cultural policies in Brussels. Through two regional strategic plans, J-M. Decroly and M. Van Criekingen  show a “significant transition in urban policies” during the 2000s. While the Regional Development Plan (PRD, 1995, 2002) advocates the “revitalisation” of central neighbourhoods and the internal organisation of the regional territory, the International Development Plan (PDI, 2007) is based on the strategy to increase the value of the last regional land reserves by “ambitious” urban projects. In terms of the cultural facilities policy, this translates into a shift from a policy in support of local facilities throughout the territory [PRD, 2002] to an incentive policy for building large facilities “designed to be spearheads for the international promotion of the city” [PriceWaterHouseCoopers, 2007: 38]. 5At the same time, after the “Brussels 2000 – European Capital of Culture” event, stakeholders from civil society and the local art scene took action with respect to the institutional complexity of the Brussels cultural sector in order to come up with a “cultural plan for Brussels” [RAB/BKO, 2009]. As cultural matters fall within the competence of the two communities, the Brussels cultural policy depends on the Belgian state, the Flemish (VG) and French (FWB) communities, the Brussels-Capital Region through VGC, COCOF and COCOM, and the 19 municipalities (French and Flemish aldermen for culture).2 This fragmentation can thus lead to complex financial and organisational structures in cultural institutions. 6In these times of the Bilbao syndrome (the worldwide quest for large-scale museums) and the call for creativity everywhere in urban spaces, this article seeks to understand the rationale behind “urban development through culture” [Teisserenc, 1997] and its social and spatial effects, in particular through an in-depth analysis of the relationship between a cultural venue and its neighbourhood. After a typological presentation of the theoretical framework and territorial context of the art centre, we shall examine in further detail the logic of production (strategies of stakeholders) and the social and spatial dynamics at work since the opening of WIELS (relationship between facilities and neighbourhood). 7Despite the abundance of literature on the relationship between cultural facilities and their urban environment, there are very few synopses which examine the rationale behind the opening of cultural facilities in an area. Thus, we have established a typology – based on four models – which constituted the first framework of interpretation for the case of WIELS (Table 1). 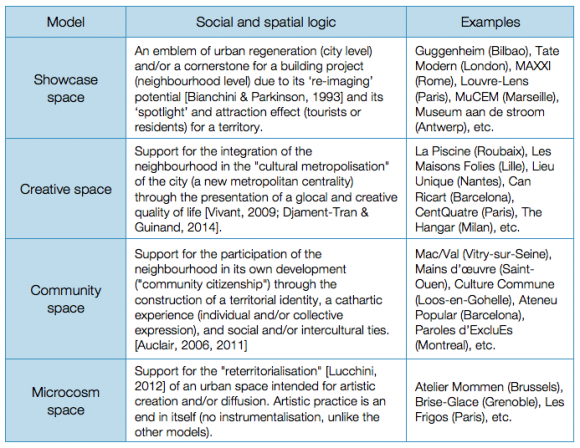 While it is difficult to compare the relationship between cultural facilities and their environment given their wide diversity (area of culture and programming) and different urban contexts (stakeholders, urban policies, metropolitan challenges and characteristics of the neighbourhood), the objective of this typology is conceptual (classification) rather than empirical (comparison). An “exogenous model”: this normative model considers culture as a prime mover for urban development, as the establishment of “universalised” culture would be a source of attractiveness (attracting visitors and outside/exterior activities). Thus, this method of development seeks to provide a territory with collective symbolic capital [Harvey, 2001] built from scratch in order to achieve certain ripple effects at social, economic and urbanistic level. In the end, in a top-down approach, cultural facilities should define the development of a territory. An “endogenous model”: this territorial model considers culture as a vector of urban development to the extent that the activation of local tangible or intangible resources – i.e. knowledge, heritage, traditions, creative expression and local specificities – would be a means to (re)affirm a local identity [Baily, Miles, Stark, 2004; Garcia, 2004]. Thus, this method of urban development seeks to stimulate collective symbolic capital [Harvey, 2001] in a perspective of social production of space. In the end, in a bottom-up approach, the local territory should define the development of facilities. 9The second social and spatial dimension refers to the degree of integration of facilities in the “community life” of the neighbourhood [Ledrut, 1968, cited in Grafmeyer, 2006: 30] – the local multisectoral associations. This dimension determines the degree of closure/openness of the facilities towards their surrounding environment, thus revealing their degree of territorial anchoring [Auclair, 2006, 2011]. Low level of integration: facilities are built in an autonomous manner with respect to the rest of the neighbourhood, and may thus be perceived by the inhabitants as an outside venue. High level of integration: facilities are built for/with the neighbourhood, and may thus be perceived as a living space which may be appropriated by at least some of the inhabitants. 10Table 2 provides a brief summary of the rationale behind these four models, illustrated by examples from around the world. 11This theoretical framework is of course not rigid: one space may correspond to several models. There are three reasons for this. Firstly, this is due to the heteronomy of contemporary cultural policies [Hélie, 2009] favouring the production of hybrid cultural facilities: in other words, cultural institutions with multisectoral and multiscale challenges – sometimes contradictory – such as attractiveness to tourists and as a metropolis, mediation and the awareness of art among the local population, artistic creation and urban marketing. Secondly, this is due to mechanisms for the instrumentalisation and/or institutionalisation of endogenous culture (fringe culture or sociocultural activities) for the purpose of social pacification and/or financial survival [Vivant, 2007, 2009]. Thirdly, it is due to the evolution of the operating methods of facilities as determined by stakeholders and urban dynamics at neighbourhood and metropolis level in a dialectic relationship with the territory [Grésillon, 2011; Lucchini, 2012; Djament-Tran and Guinand, 2014]. We therefore postulate that facilities may follow more than one model throughout their existence. 12WIELS is located in an iconic building – the Blomme, named after its architect – inherited from the Wielemans-Ceuppens breweries, in a neighbourhood outside the centre in the lower part of Forest and outside the usual areas for the diffusion of art in Brussels (Figure 2). The former Wielemans-Ceuppens site (2,5 ha) is located along the railway and at the crossroads of three main avenues: Avenue Van Volxem, Avenue Wielemans-Ceuppens and Avenue Pont de Luttre. These roads divide the lower part of Forest into three distinct neighbourhoods in the collective imagination:3 the Saint-Antoine neighbourhood, stigmatised by its image as an immigrant neighbourhood, which was exacerbated by the riots in the 1990s, the Primeurs-Pont de Luttre neighbourhood, which has been long forgotten due to the fact that it is enclosed in the industrial area by the double railway line, and part of the Van Volxem-Van Haelen neighbourhood, which is an area of transition (as regards density, socioeconomic characteristics and buildings) between the working-class neighbourhoods in the lower part and the more well-to-do neighbourhoods in the upper part of Forest. 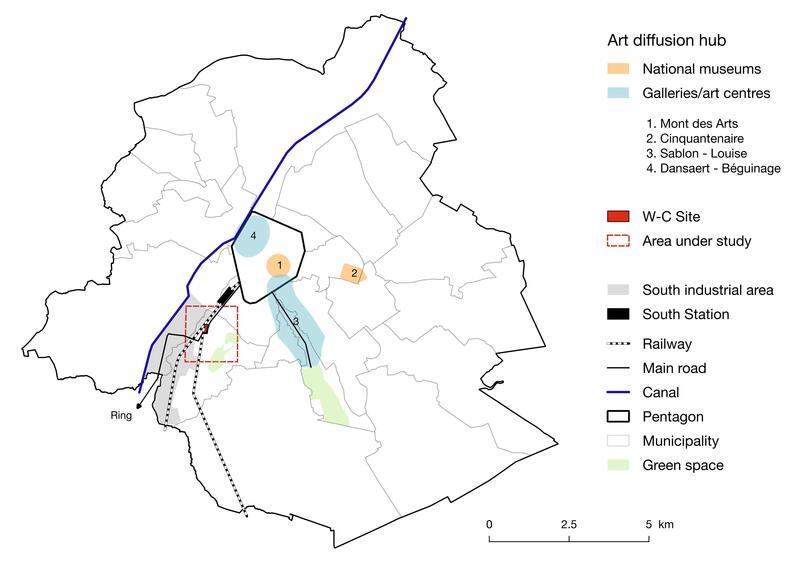 13Thus, the study boundaries (Figure 3) reflect the characteristics in keeping with the neglected neighbourhoods of the poor area of Brussels [Kesteloot et al., 1998; Romainville, 2015]: a high population density (17 266 inhabitants/km2) which is far above the regional average (7 209 inhabitants/km2), a young population (27 % aged 0-17 and 19 % aged 18-29), a low median income per declaration (15 813 €, well below the regional average of 18 941 €), and a high rate of unemployment (34 %, compared with 23 % on average in BCR) especially among young people (48 %, compared with 38 % on average in BCR).4 Furthermore, given the considerable land reserves (it is a former industrial ridge), these neighbourhoods have experienced a wave of private renovation since the beginning of the century, which has accelerated since 2006 following public investment in the neighbourhood: Maison des Cultures de Saint-Gilles (2006), WIELS (2007), BRASS (2008), and the different projects carried out in the framework of the Saint-Antoine (2008-2014) and Primeurs-Pont de Luttre (2009-2015) neighbourhood contracts. And finally, let us point out the fact that the area under study is a gateway (halfway between the western part of the ring road and the city centre, and close to the South Station), and that it is close to the municipality of Saint-Gilles, which is undergoing gentrification and is known for its high concentration of artists [Debroux, 2013]. The evolution with respect to the logic of metropolisation: analysis of the formation of a potential cultural and/or creative hub (ripple effects with respect to cultural and artistic venues and “creative” economic activities6). 15Given the scarcity of spatialised statistics on WIELS visitors, we have carried out an essentially qualitative analysis. Different methods were used for this: semi-structured interviews (stakeholders at the origin of the WIELS project, the current WIELS team, the Forest alderman for urbanism, and nine neighbourhood associations), informal discussions (WIELS estate agency, five former shopkeepers and five new workers in the neighbourhood), an analysis of the grey literature and articles/press releases, field surveys and a cartographic analysis (building projects, new art venues and new creative activities), an analysis of promotional material about the neighbourhood (building projects, municipal projects, creative activities), non-participant observations during WIELS activities and atmosphere of the neighbourhood. 16In the end, the multiplication and the crossing of qualitative methods have allowed an interpretation of the evolving relationship between WIELS and the neighbourhoods in the lower part of Forest. 17The arrival of the contemporary art centre in this neighbourhood must be understood in a context of reconversion of the industrial wasteland. One of the biggest breweries in Europe was purchased by the group Artois-interbrew (ex-Inbev) at the end of the 1970s and gradually degraded until it was closed in 1988, then becoming the object of a property muddle in the 1990s. Several Belgian and foreign investors speculated on the changing use of the area catalysed by a hypothetical “TGV effect” – the construction of a neighbourhood of services near the recently “internationalised” South Station [Van Criekingen, 2008, 2010]. There were nevertheless three constraints with respect to the development of the wasteland in the 1990s: the listing of the three remaining buildings in 1993,7 the fragmentation of the wasteland (different stakeholders and non-coherent projects) and above all its designation as an industrial area, contrary to the developers” plan to build offices. 8 Managing director of the property firm JCX and president of the board of directors for Cit Blaton. 18The arrival of the new Regional Land Use Plan in 2001– designating the wasteland as an area of regional interest (mix of activities) – was the true key to the reconversion of the wasteland. Based on the strong will of the new municipal council (2000-2006) to transform the industrial areas in Forest into residential areas, the decision to use it for cultural purposes was the result of an alliance between the municipality of Forest, the Region and a private stakeholder. In 2001, the architect/urban planner for the municipality invited a developer8 to the site. This resulted in the purchase of more than 60 % of the wasteland by the latter, as well as planning permission charges of one million euros for the renovation of the Blomme building in exchange for a construction permit (project for an office/loft complex).9 This private stakeholder was thus able to fill a dual sectoral gap. On the one hand, thanks to the new momentum of municipal policies (launching of ERDF-URBAN II in 2001) and regional policies (expropriation/long lease of the building in 2002), JCX/Blaton was able to fill a gap in the property sector. 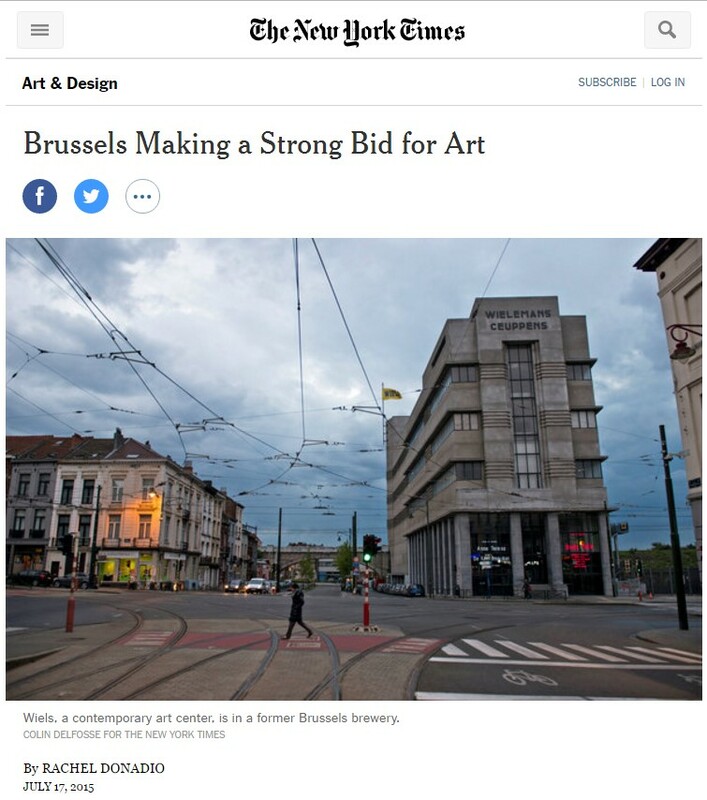 On the other hand, the new WIELS non-profit association (2003) – for which the developer acts as treasurer – filled a gap in the Brussels cultural sector in the area of contemporary art. Furthermore, European funding was composed of two cultural projects: on the one hand, an art centre with international reach (production/diffusion) in the iconic Blomme building (WIELS), and on the other hand, a municipal cultural centre (training/awareness-raising) close to its neighbourhood in the buildings of the former brewing and machine hall (the Brass'Web). The initial objective was for the latter to act as a link between the neighbourhood and the art centre. 10 “Due to a lack of time while writing the ERDF file” (Alderwoman for urbanism 2000-2006, 2015). 19Despite a rather superficial consultation with local associations,10 it may be concluded that the WIELS project thus reflects a top-down modus operandi, in which the Region – which is not competent in cultural matters – played a central role between the different stakeholders. In 2005, the renovation permit for the Blomme was granted, and WIELS opened its doors in 2007. 20WIELS is one of the rare inter-community institutions in Brussels, at the same time supported by the private sector (national and international sponsorship) and the Brussels-Capital Region.11 In a dual objective of international reach and local anchoring, its programming is diverse and may be divided into four types of activity: temporary exhibits which attract a national and international public12 and which are exported abroad (to the MoMA in New York, in particular), artists” residencies (eight out of nine artists are foreigners), activities to introduce children to contemporary art (traineeships, cinema club, weekly workshops, introduction to art for children between the ages of 6 months and 3 years), and finally, social and artistic projects in partnership with local associations and schools. Thus, WIELS may be described as a hybrid institution, somewhere between museum, art studio and cultural centre. Furthermore, while the initial objective of the “mixing of populations” was asserted loudly and clearly by the protagonists,13 the observations nevertheless reveal that the different types of activity – and their public – do not really mix. Thus, we prefer to speak of hybrid facilities with diverse programming. 21As regards the dominating rationale during the conception period (2005-2007), WIELS came and went from showcase space – the cornerstone of a property strategy integrated in municipal and regional policies for the revitalisation of the neighbourhood – to community space linked to European funding. Apart from inviting local associations to the first exhibits, the “social and educational committee” approached local associations a few months before the opening of WIELS in order to identify the needs of the neighbourhood. This planned opening resulted immediately in jobs – in reality, volunteer work with expenses paid – assistance, security and maintenance during events. While the coordinator of the Forest youth centre sees the positive effects for the neighbourhood through the creation of jobs, one might wonder whether, in the end, they confine these young people to a situation of job insecurity. 22We have identified two periods in the relationship between WIELS and its neighbourhood: a period of establishment, marked by financial difficulties,14 and a period of sustainability, following the financial rescue of WIELS by the Brussels-Capital Region at the end of 2011 [Picqué, 2011]. 23In the establishment phase, the financial crisis and the working-class character of the neighbourhood seem to have held back the ambitions of JCX Immo as regards the wasteland and the neighbourhood, and brought out the will for WIELS to connect with the neighbourhood. While the foundations and the first stakes were under way (at the origin of the Marais Wiels), the project for offices and lofts on the Wielemans-Ceuppens site was abandoned in 2008 following the unexpected cancellation of bank loans. Despite the failure of a second project to create a “centre for culture” on the site in 2010,15 the developer launched renovation works at two other neighbouring industrial sites in Avenue Van Volxem, which were also purchased at the beginning of the 2000s (Figure 5): the “Bata” luxury housing complex and the “Ducuroir” medium-sized housing complex (in partnership with Citydev). 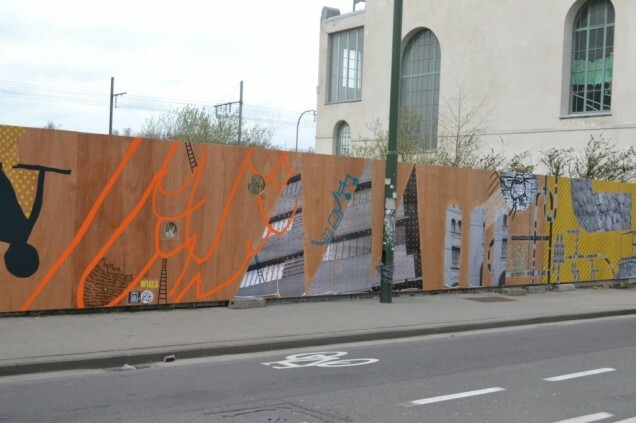 Faced with the difficulties encountered during the sale of flats based on plans, the developer used the image of WIELS as a symbol of the “artsy” renewal of the neighbourhood (Figure 6) – reflecting a sales strategy whose objective was to improve the status of property in the neighbourhood. 16 Magazine WIELS “Témoignages/Getuigenissen – Projets socio-artistiques 2009-2013” [Versaen, 2013]. 24At the same time, in an attempt to gain recognition and trust among the local population, several social and artistic projects in partnership with local associations emerged in the first years.16 Although its openness towards the neighbourhood now appears to be well perceived by the inhabitants of the neighbourhood, the long-term loyalty of the local population is more complicated due to the social and symbolic barriers of contemporary art and its public. 25Furthermore, the ambiguous feelings expressed by associations and inhabitants are somewhere between a sense of pride related to the improved image of the neighbourhood, and intimidation related to the arrival of well-to-do populations – visitors, residents and workers – in the neighbourhood. 17 Interview with the director of the Education & Public department at WIELS, 2015. 27In the sustainability phase, WIELS seems to be directing itself gradually towards a more creative type of space whose interactions with the metropolis prevail over those with the neighbourhood. Firstly, an evolution in the programming is seen (Table 3). Following a decrease in funding for social and artistic projects (from the communities, Loterie Nationale and above all the end of the Saint-Antoine neighbourhood contract) beginning in 2013,17 it appears that resources have been invested more in artistic activities for children, which attract a more metropolitan public. It is easier to finance this type of educational activity through participant fees and/or private sponsors. 28This change in the programming may be illustrated by the fence project (between WIELS and BRASS): in 2013, it was the object of a co-production with young people from the neighbourhood in partnership with a community centre (Figure 7), in 2015, it was replaced by work by an artist who was new to the neighbourhood (Figure 8). 29At the same time, WIELS became the emblematic figure in the rhetoric of public and private stakeholders regarding a new metropolitan centrality – the new Wiels or Van Volxem neighbourhood – based on an image of culture and creativity. 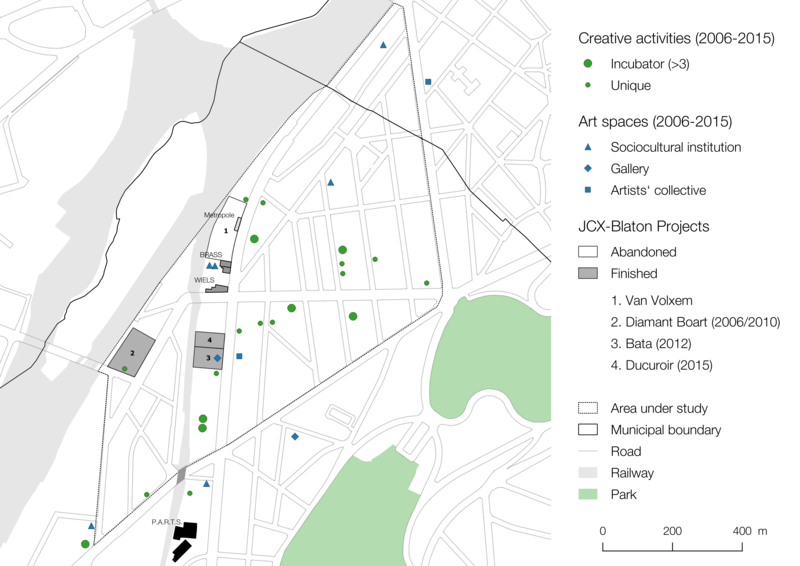 Several documents and cultural events illustrate this: the ZIR 7 master plan “Van Volxem, cadran artistique émergent” (MSA requested by JCX Immo, 2009), the JCX Immo promotional material (Figure 6), the “Quartier-Midi” report (ARAU/ADT, 2012), the description of the neighbourhood by the new creative business incubators (website), the Kunst Promenade organised by the Flemish authorities in the municipality of Forest (2013), and the Parcours d'artistes Saint-Gilles/Forest (2014, 2016). This rhetoric sought to highlight and even stimulate the many ripple effects announced when WIELS opened. 31Although there have been new art venues and creative activities in the neighbourhood (Figure 8), the role of WIELS seems to be secondary – and difficult to measure – due to other factors such as low rents,18 the availability of large vacant spaces, the strategic location and urban revitalisation policies. The P.A.R.T.S. 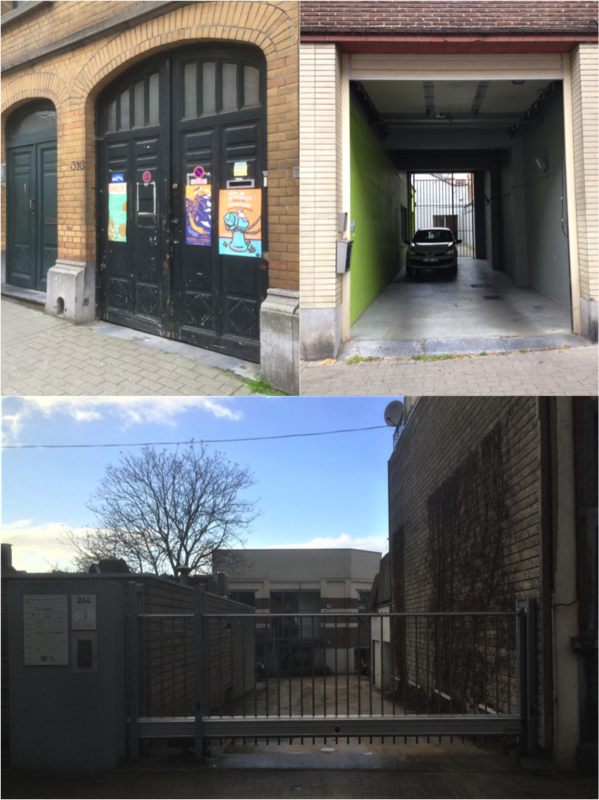 dance school and the nWave Digital studios – two activities with an international reach – were located in the neighbourhood well before the arrival of WIELS. Furthermore, these new activities are rarely visible to the public due to their location in the interior of a block (garage door, gate, etc. ), related to their fringe character [Vivant, 2007] or to security issues (Figure 9). In addition to a lack of visibility, there is a lack of commercial dynamics which meets the demands of visitors at WIELS and new users of the neighbourhood (workers and inhabitants). For several of them, the only exception is the brewing hall at WIELS (café and bookshop). Thus, there is a gap between the “cultural and creative dynamics” mentioned by certain stakeholders and the reality in the neighbourhood (visibility and actual atmosphere). 33While the four models help to structure the analysis, in the end, the field study revealed the existence of a hybrid cultural venue whose relationship with the territory has evolved over time. As a showcase space during its initial phase, to become a community space during its first years of existence, WIELS is now a creative space, without abandoning the rationale of the previous two models. Thus, in 2017, the social and spatial perspectives with respect to WIELS overlap and borrow elements from the different models: for example, as a community space, it offers new social and artistic activities to inhabitants from the neighbourhood, while as a showcase, it has led to an improved image of this part of the city, seized by certain developers. 34Due to the hybrid nature of facilities such as these established in a working-class neighbourhood, of the activities and of the associated stakeholders, one may wonder about the tensions between the different social and spatial perspectives and the social impact on the surrounding environment in the long term. The sustainability and balance between these perspectives depends on the local and metropolitan urban context, namely the interactions between stakeholders, the type and structural nature of financing, the integration of the facilities in urban projects and plans of action, the metropolitan cultural and artistic dynamics and the socioeconomic situation. The dialectic relationship between the facilities and their territory, through the balancing of the motivations at work, may thus have different impacts on the populations and functions in place. 35In the case of WIELS, the transformations at work in its social and physical environment seem to point to a scenario of gentrification of the neighbourhood. While the showcase and community rationale put a spotlight on this industrial neighbourhood outside the centre, and at the same time anchored the institution in a working-class neighbourhood, the creative rationale which developed recently has had the more structural effect of attracting well-to-do residents to the lower part of Forest, as well as new qualified activities which do not provide many jobs. 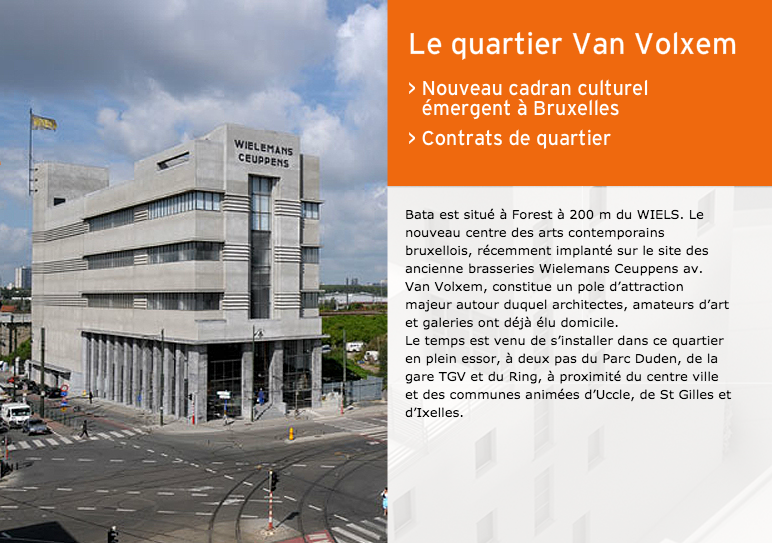 Furthermore, the future urban projects reinforce the pursuit of this process: the new building project “Van Volxem Housing” on the Wielemans-Ceuppens site (10 buildings with 229 dwellings), the new (regional) contract for urban renovation “CRU Avenue du Roi” (whose perimeter links the art centre to the municipality of Saint Gilles and the South Station), and the future sustainable neighbourhood contract CQD Wiels. Nevertheless, ten years after its opening, it still seems too early to determine whether WIELS plays a role as a “bridgehead of selective metropolisation” [Djament & Guinand, 2014] or as an “outpost of gentrification” [Clerval, 2013] in a working-class area outside the centre, which concentrates the interests of public and private stakeholders of urban production in Brussels. AUCLAIR, Élizabeth, 2006. Comment les arts et la culture peuvent-ils participer à la lutte contre les phénomènes de ségrégation dans les quartiers en crise ? In: Hérodote. 2006. Vol. 3, No 122, pp. 212-220. BAILEY, Christopher, MILES Steven et STARK Peter, 2004. Culture-led urban regeneration and the revitalization of identities in Newcastle, Gateshead and the North East of England. In: International Journal of Cultural Policy. 2004. Vol.1, No 10, pp. 47-65. BIANCHINI, Franco, 1993. Remaking European cities: The role of cultural policies. In: BIANCHINI Franco, PARKINSON, Michael (ed. ), Cultural Policy and Urban Regeneration. The West European Experience. Manchester: University Press. pp. 1-20. BIANCHINI, Franco, GHILARDI, Lia Santacattarina, 1997. Culture et quartier – Rapport comparatif. In: Rapport du conseil de la coopération culturelle. 1997. Conseil de l'Europe, Vol. 2, p. 49. CLERVAL, Anne, 2013. Paris sans le peuple - La gentrification de la capitale. Paris: La Découverte, Hors collection Sciences Humaines, pp. 187-192. COLOMB, Claire, 2011. Culture in the city, culture for the city: the political construction of the trickle-down in cultural regeneration strategies in Roubaix, France. 2011. In: Town Planning Review, Vol. 82, No 1, pp. 77-98. DEBERSAQUES, Simon, 2015. Evolution socio-spatiale d'un quartier populaire associée à l”implantation d'un équipement culturel. Le cas du Centre d”art contemporain WIELS, à Forest (Bruxelles). Mémoire de fin d'étude en sciences géographiques. Brussels. Université Libre de Bruxelles. DEBROUX, Tatiana, 2013. Les territoires créatifs : quelques notions théoriques et une analyse bruxelloise. In : Territoire en mouvement. 2013. Vol. 2, No 19-20, pp. 40-59. GARCIA, Beatriz, 2005. Deconstructing the City of Culture: The Long-term Cultural Legacies of Glasgow 1990. In: Urban studies. 2005. Vol. 42, No 5-6, pp. 841-868. GRAFMAYER, Yves, 2007. Le quartier des sociologues. In AUTHIER, Jean-Yves, BACQUE, Marie-Hélène, GUERIN-PACE, France (Ed. ), 2007. Le quartier : Enjeux scientifiques, actions politiques et pratiques sociales. Paris: La Découverte, pp. 21-31. GRESILLON, Boris, 2011. La reconversion d”un espace productif au cœur d”une métropole : l”exemple de la Friche de la Belle de Mai à Marseille. In: Rives. 2011. No 38, pp. 87-101. HARVEY, David, 2001. Spaces of capital: towards a critical geography. New York : Routledge, pp. 394-411. HELIE, Thomas, 2009. Des politiques culturelles de façade ? Les effets sociaux ambivalents des opérations de régénération urbaine par la culture. Grenoble. Colloque AFSP - Section thématique no 26 : Les ambiguïtés de l'action publique face aux inégalités socio-spatiales. Etat des travaux francophones au regard des Urban Studies. JOBERT, Bruno, THERET, Bruno, 1994. Le tournant néolibéral en Europe. Idées et recettes dans les pratiques gouvernementales, Paris : L'Harmattan. KESTELOOT, Christian, MISTIAEN, Pascale and DECROLY, Jean-Michel, 1998. La dimension spatiale de la pauvreté à Bruxelles : indicateurs, causes et stratégies locales de lutte contre la pauvreté. In: VRANCKEN, Jan, VANHERCKE, Bart, CARTON, Luc, VAN MENXEL, Gerard (Ed. ), 20 ans CPAS, vers une actualisation du projet de société. Leuven: Acco. pp. 123-153. LELOUP, Fabienne, MOYART, Laurence, 2014. Mons, capitale européenne de la culture en 2015 : deux modèles de développement par la culture. In: Revue d'Économie Régionale & Urbaine. 2014. No 5, pp. 825-842. LUCCHINI, Françoise, 2012. La fabrique des lieux : réapproprier des lieux par la culture. Rouen. Actes du Colloque International Pluridisciplinaire : De la Friche industrielle au lieu culturel. pp. 9-22. LUSSO, Bruno, 2009. Les musées, un outil efficace de régénération urbaine ? Les exemples de Mons (Belgique), Essen (Allemagne) et Manchester (Royaume-Uni). 2009. In : Cybergéo, European Journal of Geography, Espace, Société, Territoire, document 436. MILES, Malcom, 2005. 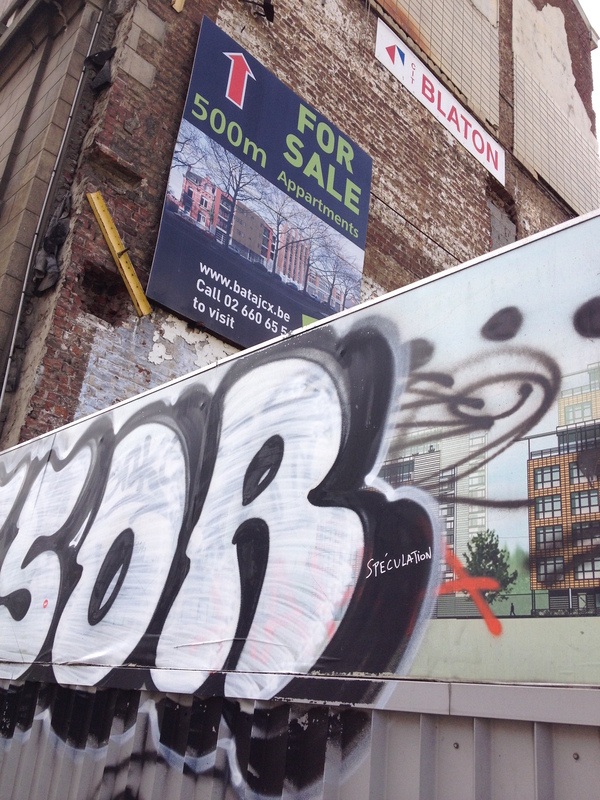 Interruptions: Testing the Rhetoric of Culturally Led Urban Development. In: Urban Studies. 2005. Vol. 5/6, No 42, pp. 889-911. MSA, 2009. 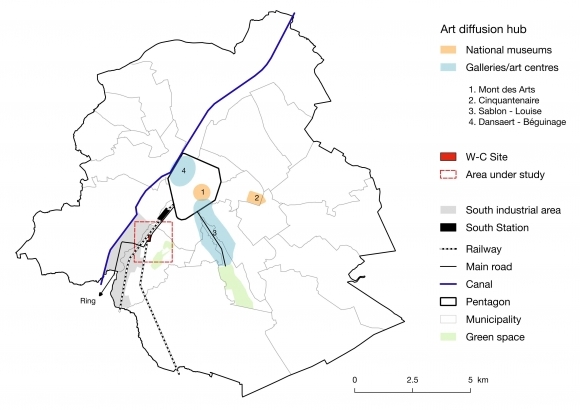 Masterplan de la ZIR 7 « Van Volxem, cadran artistique émergent ». Bruxelles. REIGNER, Hélène, 2011. Equipement. In : Cole Alistair, Guigner Sébastien, Pasquier Romain (ed. ), Dictionnaire des politiques territoriales. 2011. Paris: Presses de Sciences Po, pp. 224-230. ROMAINVILLE, Alice, 2015. La production capitaliste des logements à Bruxelles. Promotion immobilière et division sociale de l”espace. Thèse de doctorat en sciences géographiques. Brussels. Université Libre de Bruxelles. TEISSERENC, Pierre, 1997. Le développement par la culture. In : L'Homme et la société. 1997. Vol. 125, No 3, pp. 107-121. VAN CRIEKINGEN, Mathieu, 2008. Urbanisme néolibéral et politiques de gentrification : main basse sur le quartier de la gare TGV à Bruxelles. In: Géo-Regards. 2008. No 1. pp. 113-115. VAN CRIEKINGEN, Mathieu, 2010. Du vieux vin dans de nouvelles bouteilles ? Une comparaison des opérations de réaménagement des quartiers Nord et Midi à Bruxelles. In: Belgeo. 2007. Vol. 2, No 13, pp. 49-64. VIVANT, Elsa, 2007. Sécurisation, pacification, animation. L'instrumentalisation des scènes culturelles off dans les politiques urbaines. In: Terrains & Travaux. 2007. Vol. 2, No 13, pp. 169-188. VIVANT, Elsa, 2009. Qu'est-ce que la ville créative ? Paris: PUF. pp. 68-78. 1 KETTANI, S., LAFFINEUR, T., REGNIERS, M-C. La ville créative : un cocktail aux ingrédients subtils. In : Divercity, Donnons du sens à la ville. April 2011. Brussels: Atenor Group, No 2, pp. 4-9. 2 However, after the second part of the 6th state reform in 2014, the Brussels Region was assigned powers for certain bicultural matters of regional interest which do not fall within the competence of the federal state (national museums). 3 According to the different interviews conducted. The definition of the area under study therefore breaks away from the spatial representation of neighbourhood monitoring: the “Lower Forest” neighbourhood and the “Van Volxem-Van Haelen” neighbourhood. 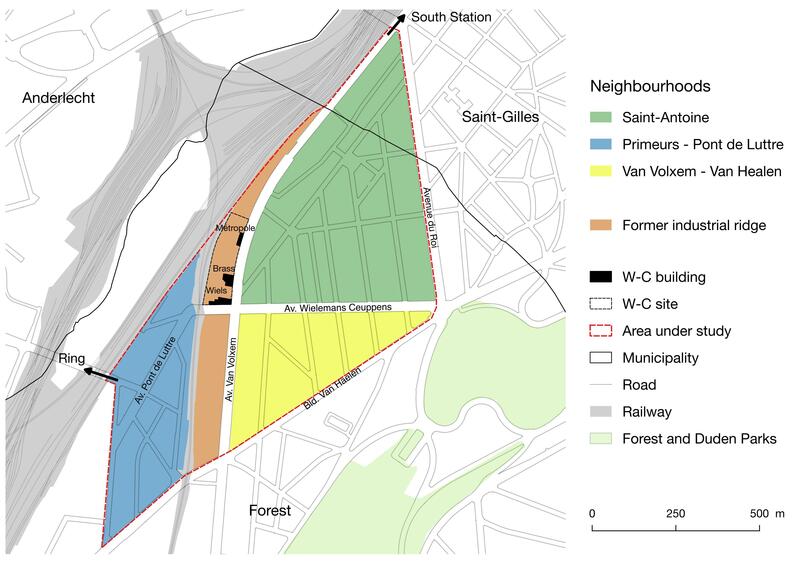 4 Neighbourhood monitoring (2012-2013-2014) of the “Lower Forest” neighbourhood (Saint-Antoine and Primeurs-Luttre). 5 Although the developer did not respond to the two requests for an interview, an informal meeting with the architect (Art & Built Architect) for the WIELS project and “Van Volxem” was held. 6 Categorisation [Debroux, 2013]: cultural property edition; film and video activities; radio, television and press agency activities; book, newspaper and stationery retailers; artistic and live entertainment activities; preservation activities and libraries; advertising activities; architect firms. 7 “Blomme” (WIELS), the “machine hall and the former brewing hall” (BRASS) and the “Métropole” (former façade of the CGER at Place De Brouckère, non-renovated and belonging to JCX/Blaton). 9 Interviews with the alderwoman for urbanism (2000-2006) and the architect-urban planner for the municipality of Forest (2000-2006), 2015. 11 Five ACS jobs, grants for non-profit associations which help to promote the image of the Region and the financing required for the second part of the renovation of the building via Beliris (2015). 12 While no statistics were available in 2015 regarding the origins of visitors, the ticket office staff have made the following estimates: 25 % international visitors, 25 % Belgians (outside BCR) and 50 % inhabitants of Brussels (BCR). 13 Alderwoman for urbanism and architect for the municipality (2000-2006) and the developer JCX in the film “Une femme entreprenante” (S. Augustijn, 2004). 14 Among others, related to the freezing of Beliris funds required for the continuation of building renovations in 2008 following a conflict of interest in the person of the developer [Duplat, 2009]. 15 ZIR 7 master plan “Van Volxem, cadran artistique émergent” (2009) by the consulting firm MSA at the request of JCX Immo. 18 No significant increase at residential level between 2007 and 2015 according to J-P. Wouters (“Wiels” estate agency).